In Denmark we, unfortunately, just got a translation of the unauthorized 1983 BBT(I) edition of Bhagavad-gita As It Is. 1. That the Bhagavad-gita is “…a dialogue between two friends about life’s big questions”. This drags the Bhagavad-gita down to regular “armchair philosophy”. What comes to mind when hearing that “two friends are conversing about life’s big questions”? For me, it’s not even the debating of two skilled philosophers that come to mind. More likely it is the dry, mental speculations of two buddies looking at the stars while out fishing one night! 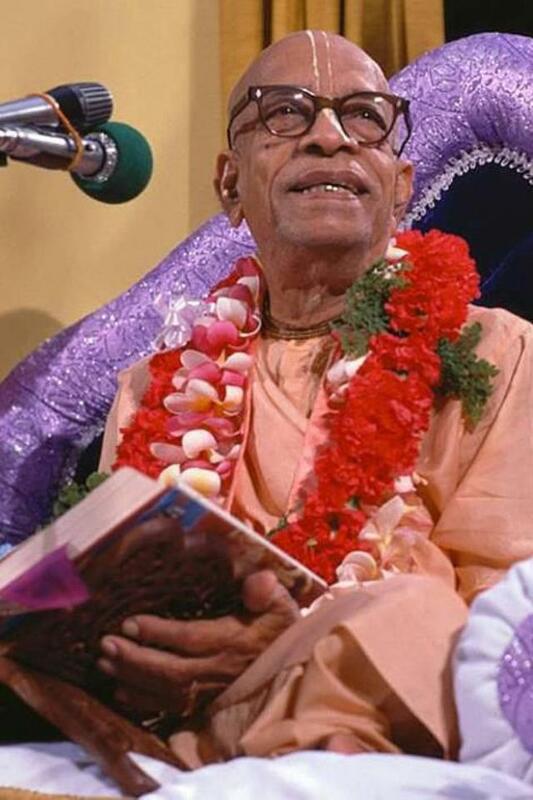 Here Prabhupada is described as “the great exponent”. Contrast this to the original Bhagavad-gita where it is said that Prabhupada is “the leading exponent of Krishna consciousness”. That he is “the world most distinguished teacher of Vedic religion and thought,…”, and that he is a “self-realized devotee of Krishna”. It’s hard to fathom why the BBT International and their Danish editors are covering up the greatness of both the Bhagavad-gita and Prabhupada. An explanation is needed! This entry was posted in All posts, BBTI, Changed pictures and paintings, Examples of changes and tagged back covers, BBTI, Bhagavad-gita, examples of changes, front covers, prabhupada. Bookmark the permalink.